Egg whites are the second most common allergen so a reaction is actually more normal than you think and the good news is that your baby will most likely out-grow this allergy / intolerance by the time they are 12 months old. 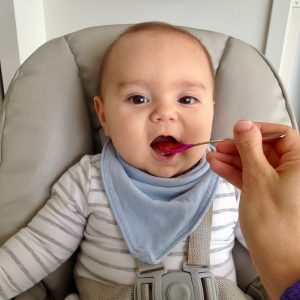 There are four different proteins inside the white that can cause a reaction, two of which are highly allergenic so even if your baby didn’t react, there is a very good chance you know someone who has experienced this with their child. When following our Infant Nutrition Program, I preach that egg yolks are the very best start for your bubba and I stand by that statement despite the fact that Mason, my youngest baby, reacted very poorly to the whites. Egg yolks deliver so much of the right nutrition at 6 months so you need to give the prep a go (We have a step-by-step video on the program to help you!). It’s really tough to get a good egg yolk prep with ZERO white in there and reactions can range from a small rash around the mouth that will disappear in a few hours and will not affect baby’s temperament to full blown projectile vomiting, diarrhoea and a limp baby in your arms. Talk about being traumatised! 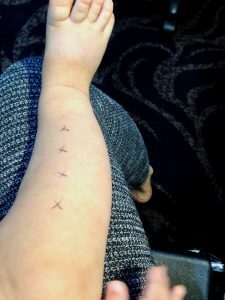 I want to share my experience with you so you understand egg white allergies a bit more and so you know that you’re not alone if this happens to you. Big Mase, as we like to call him because he’s HUGE, started on soft boiled egg yolks, liver and celtic sea salt at 6 months. It was his first food and he seemed to enjoy it. The first 3 times we tried it in that week, everything was normal. I’m positive I got a bit of white in on the second and third prep but Mason was fine. I was patting myself on the back for getting through my first introduction with him and then we gave it to him a fourth time. OH MY GOODNESS. He ate everything as normal and we were out later that day and he projectile vomited all over the car. In fairness, Mason was a champ at spitting up but this was 10x the amount that he would normally spit up so I knew something was going on. What came up was mostly milk so I didn’t actually put 2 and 2 together to think it might be the egg. We started other foods in the rotation and he had beef, bone broth, sweet potato, carrots, yellow squash and ghee by the time I did egg yolk again. I mixed it with a cube of sweet potato, carrot, squash and ghee and he ate the whole thing so quickly that I thought it was a slam dunk combination (insert: more patting myself on the back). I fed him at 11am and he went to sleep around 12:30pm. 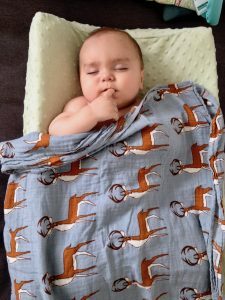 Now, I’m one of the lucky ones – Mason sleeps for 2.5-3 hours every afternoon so you can imagine my surprise when he started squawking at 1pm and when it became clear that he was not going to put himself back to sleep, I went in to check on him. As soon as I picked him up, his little body started to convulse and I knew he was going to throw up. The poor little guy was so sick! I managed to get it only on me and him so I did a quick change and he promptly threw up again. This went on for about 1 hour and then he stopped throwing up and the diarrhoea started. I changed him 4 times in 15 minutes before I finally decided to just lay him on his change mat and let him sleep. He was so tired and the only way I could describe his state was that he was limp in my arms. If I’m being honest, I probably should have taken him to the hospital but for some reason, I felt that me holding him was enough. He fell asleep for about an hour and I breastfed him as soon as he woke up. He was completely back to his normal, happy, giggly self but I was traumatised! So here’s the catch. Mason reacted to NOTHING. Yep, that’s right. Zero reactions which means he isn’t allergic / intolerant to egg whites! Bad news is that the doctor believes he has something called FPIES to eggs. FPIES stands for Food Protein Induced Enterocolitis Syndrome. Oh my, doesn’t that sound serious! 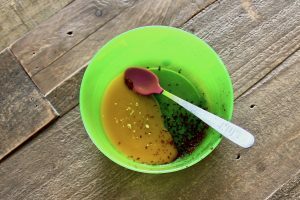 By the textbook, FPIES is a delayed gut allergic reaction, which presents with repetitive, profuse vomiting that may not start for a few hours after a triggering food(s) is eaten. Some individuals with FPIES may develop diarrhoea, lethargy, become pale, floppy and/or feel cold. Loads of different foods can cause FPIES but a person is usually only triggered by one food and for Mason – it’s probably eggs. They know very little about this right now so no one can tell me if he’ll definitely grow out of it but chances are he will be fine with eggs by 4 years old. The real question now is how do I keep eggs from my kid for the next 3.5 years? The answer – I do the best I can! It’s very likely that Mason will “self challenge”, meaning he grabs some piece of oat slice from his sister’s plate and shoves it in his mouth before anyone can do anything. Then, we wait. If he doesn’t react, then he’s fine! If he does, then we know he still has FPIES to egg. I’m not worried. Yes, it will be a challenge if he needs special consideration for food but we do anything for our kids, right? My experience probably won’t match yours but sometimes it helps to know that this happens to others. If you experienced a small rash, I would wait 6-8 weeks and reintroduce eggs. You can go for egg yolks again or go for a fully cooked version, like an oat slice because the baking process will denature the egg white proteins. It’s very likely that your baby will grow out of this quickly. 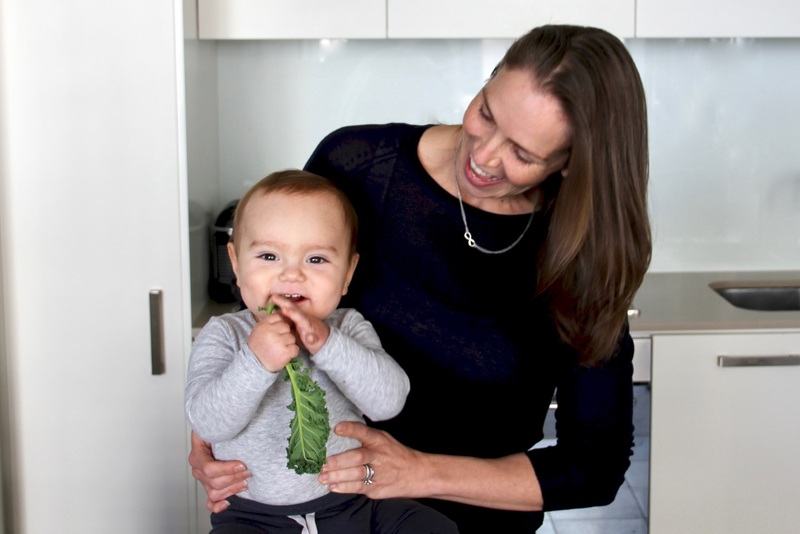 If you are on our Infant Nutrition Program, continue on to next week’s preparation because it’s really important to get the iron and zinc into those little bodies now for optimal brain growth and development. Wish me luck when Mason is 18 months old and grabs something off a table at a birthday party that has egg in it! !